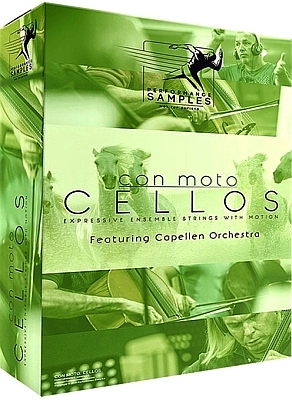 Con Moto – Cellos is a string library recorded with motion in sustain, legato and attack / release. Bow Sustain offers continuously expressed vibrato and emotions through approaches to execution and editing. The resonant attack notes and carefully prepared release samples, obtained from musical performance units, are transformed into a game that provides a smooth change in the length of the notes, similar to the previous Performance Samples libraries. In much the same way as in Oceania, Con Moto – Cellos continues to follow the path of “sampled energetic releases” and recognition of phrase endings in terms of performance as a critical element of the toolkit in the functionality of the sampled releases. The legato transitions of the bow position encompass all of this together, and when the entire library is presented musically, the result is an airy ensemble with consistency in phrases, vibrato, and expression.